Police Accountability Project > Horvath Decision > Why the NSW Law Enforcement Conduct Commission is no model for Victoria. 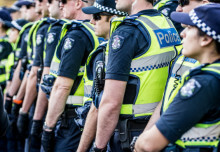 In New South Wales, legislation designed to streamline the police complaints system and establish the Law Enforcement Conduct Commission (LECC) as a single, civilian oversight body was introduced in 2016. The operation of the new system is outlined in the Law Enforcement Conduct Commission Act 2016 No 61. Although the proposed structural changes are aimed at improving the effectiveness of police oversight in NSW, there is serious contention as to whether the changes will ensure a more effective complaints system, or merely represent an “expensive rebadging of the existing Police Integrity Commission fused with the Ombudsman”, particularly given the serious limitations on the LECC’s investigative powers. The decision to establish the LECC was in response to recommendations made by former NSW shadow attorney-general Andrew Tink in the Review of Police Oversight report (the Tink Review), released in August 2016. This report into police oversight was conducted after breakdowns in the police accountability system in New South Wales, including the investigation into the high profile police shooting death of Adam Salter, who was shot in the back and killed in his Sydney home in November 2009 after police responded to a call that the 36-year-old was stabbing himself with a knife. At the 2011 inquest into Mr Salter’s death, the NSW deputy coroner Scott Mitchell sharply criticised the police actions on the day, and was scathing of the police Critical Incident Investigation which followed, finding the police investigation to be flawed and very unreliable. 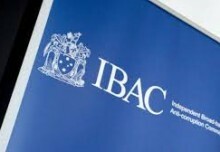 As of 1 January 2017, the new civilian agency was established to provide oversight into the running of the NSW police and the state’s Crime Commission. The LECC replaces the Police Integrity Commission (PIC), the Police Division of the Office of the Ombudsman and the Inspector of the Crime Commission in an attempt to simplify law enforcement oversight. 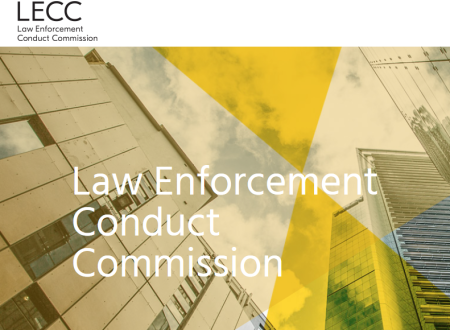 As such, the new LECC is meant to be the sole body responsible for detecting and investigating serious misconduct and overseeing complaints handling – essentially replacing the Police Integrity Commission and performing the functions of the Ombudsman and Inspector of the NSW Crime Commission. But as discussed below, its ability to ensure proper police accountability through robust investigations is hamstrung by inadequate investigative powers in relation to some of the most serious misconduct allegations. Justice Adams has been appointed the first chief commissioner of the LECC, and is responsible for leading the Commission’s the dual functions of detecting and investigating serious misconduct and corruption, and overseeing complaints handling. While the LECC legislation provides for the Commission to play this dual role, critical incidents will still be investigated directly by NSW police, with the LECC limited to playing a monitoring role in these investigations. Key issues with this and other limitations on the Commission’s powers are outlined below. The Commission is not yet fully operational, but comment from the New South Wales state government indicates that it will begin work when all key appointments are finalised. There are a number of key strengths in the NSW overhaul. Namely that the Commission does have stronger oversight capacity in some functions than the Ombudsman had, that it has enhanced monitoring capacity in relation to the police investigation process, and importantly that it will have real-time access to information concerning critical incidents. However, oversight capacity is markedly different from investigative power, and in order to establish effective police oversight and investigation, it is critical that independent investigative capabilities are provided to police accountability bodies. Further, numerous aspects of the new legislation do not follow the Tink recommendations and there are a number of serious issues with the new model and controversial limitations to the Commission’s investigative powers. 1. The threshold for referral back to Police investigators prevents LECC from investigating the most serious incidents, including police contact deaths. This means that while the new LECC will investigate less serious issues of police misconduct or excessive force that do not lead to serious injury or death, the most serious “critical incidents” and those that result in loss of life will continue to be self-investigated by police. 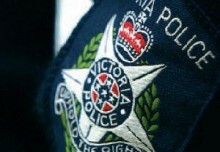 The approach taken to critical incidents under the new LECC legislation runs counter to the CCL’s main recommendation relating to police critical incidents, which called for ‘a shift to a system which ensures stronger accountability and transparency and an end to ‘police investigating police’ in relation to critical incidents and serious misconduct’. Similarly, while the Independent Police Conduct Authority of New Zealand (‘Authority) is not statutorily required to do so, in practice it independently investigates all police contact deaths. Deaths caused by police are assigned a ‘category 1’ status, along with complaints concerning serious bodily harm. The Authority has “adopted a “team” approach and no single investigator is allowed to take responsibility for the investigation into a police contact death. 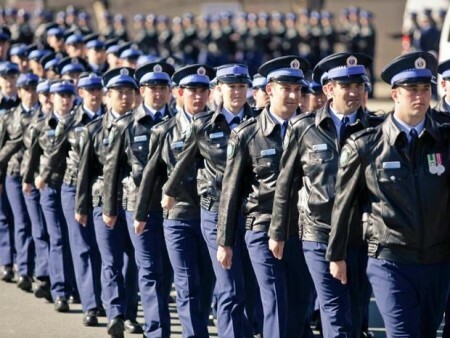 Rather that heeding the lessons from international models for independent investigation, the LECC model enshrines the retention by police of investigative powers into critical incidents. This failure to ensure independent investigation of police contact deaths is a fundamental barrier to a truly impartial independent complete investigation system, and precludes independent investigation in situations of the utmost importance – where serious injury or death has occurred. Secondly, LECC’s oversight capacity is seriously weakened by a totally unnecessary restriction that the Commission can only observe critical incident interviews with “the consent of the person being interviewed and the senior critical incident investigator”. As such, while the LECC is able to access transcripts and recordings of interviews, it will only be able to attend the interviews as an independent observer when permission is given by chief police investigator and the interviewee. This is a serious barrier to the efficacy of its oversight role. This extraordinary restriction on access to the key interviews in an investigation was Government-initation, and was not recommended in the Tink Review. Both the ALP and Greens attempted to have this restriction removed, and were unsuccessful. The LECC will also be prevented from publishing any report on police critical incident investigations until the investigation is completed. The legislation confines the LECC’s powers to determine what to investigate to “serious misconduct and serious maladministration”. Further, the LECC is prevented from investigating a criminal offence that is not a “serious indictable offence” or “unlawful conduct that is not an offence or corrupt conduct”. It will therefore no longer be able to conduct important investigations into matters that do not fit the ‘serious’ category, but that may still constitute criminal activity. As such LECC’s investigation powers face significant limitation due to this threshold. Unlike the previous powers of the Ombudsman, the new model does not give the LECC the ability to conduct “public interest” investigations. This means that broader systemic investigations into issues with far-reaching implications for the community, such as the Ombudsman’s landmark 2012 report on Taser use by NSW Police, will not be possible under the new LECC model. Lastly, despite the Tink Report recommendation that the overhaul of the oversight system should not be designed and crafted to “realise cost savings”, the LECC’s employee budget is ten per cent lower than that of the PIC and the police division of the Ombudsman’s office. In addition, the proposed LECC staffing arrangements represent a loss of staffing to the Oversight Division, as compared to the previous Police Division, including a reduction in the number of staff oversighting complaint investigations. 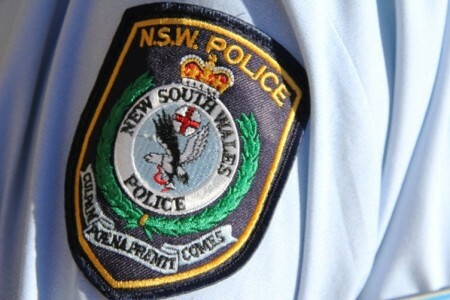 Considered together, these issues raise concern that the new watchdog may provide less rather than more oversight of the NSW police. These concerns have been expressed directly by acting Ombudsman John McMillan, who on the day after the legislation was introduced, wrote to warn the PIC, the NSW Crime Commission and the parliamentary oversight committee that the LECC legislation would “diminish rather than strengthen” the functions performed by his agency. In Professor McMillan’s view, the resources earmarked for LECC are “inadequate and contrary to recommendations 22 and 36 made by Mr Tink to ensure that LECC is able to perform its functions effectively. a) Independent of the police (that is, hierarchically, institutionally and practically); b) Capable of conducting an adequate investigation (that is, able to ascertain whether the actions of the police breach legal or disciplinary standards and whether police practices are in compliance with human rights); c) Prompt; d) Open to public scrutiny; e) Victim-centred and enables the victim to fully participate in the investigation; ad f) State-initiated. On 2 April 2009 the United Nations Human Rights Committee (UNHRC) observed that Australian police must be independently investigated where allegations of abuses are made, and prosecuted and sanctioned when criminal conduct, disciplinary offences or human rights abuses are exposed. This was reinforced in the 2014 UNHRC finding in regards to Corinna Horvath. In 1994, Corinna Horvath was subject to an assault by police in her home that knocked her unconscious and left her with a fractured nose. She was also falsely imprisoned by police, and then faced malicious prosecution. 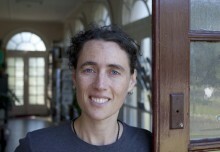 In 2014, eighteen years after the assault took place, the UN Human Rights Committee concluded that Ms Horvath was not adequately compensated and that the disciplinary proceedings brought against the police members involved in her assault failed to meet the requirements of an effective remedy under Article 2, paragraph 3 of the International Covenant on Civil and Political Rights. The Committee’s damning decision on Horvath v Australia obliges the Australian Government to ensure that victims of police assault have a right to compensation and requires that the State ensures that allegations of human rights abuses are investigated promptly, thoroughly and effectively through an independent and impartial body. This decision makes it clear that internal police investigations do not reflect this international standard, even when they are ‘overseen’ by another body, and that police investigating allegations of police brutality constitutes a breach of human rights. The issues outlined above with the new approach in NSW raise concerns that the LECC model does not adequately meet these human rights benchmarks. Most crucially, that enshrining a system where by police retain investigative power over ‘critical incidents’ including police contact deaths and deaths in custody fails to guarantee independence from police. Similarly this retention of investigative power in the case of critical incidents fails to meet human rights benchmarks for victim-centeredness, transparency and public scrutiny. While the NSW LECC model is likely to significantly improve some aspects of police oversight and accountability, there are serious gaps and weaknesses in its structure which do not bode well for the urgently-required reform of police culture, and that risk undermining the overall effectiveness of the overhauled complaints system– most particularly where it applies to the most serious cases regarding deaths investigations. Enshrining a system in which police retain investigative power over ‘critical incidents’ including police contact deaths and the infliction of serious injuries fails to guarantee independence from police and falls foul of human rights benchmarks for victim-centeredness, transparency and public scrutiny. We therefore urge against this being used as a template for necessary Victorian reform. IPCA Annual Report, 2015-2016, p 7 and 59-62.